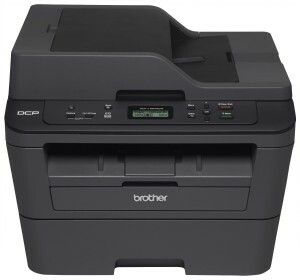 I’ll make this easy, you should go ahead and buy a laser printer. 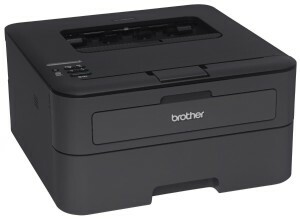 In terms of reliability and stress-reduction laser printers are light-years ahead of inkjet. Price comparisons and price per sheet costs don’t concern me. Laser is close enough to inkjet that it’s not worth worrying about. You’re going to spend a little more upfront and a little more on toner but it in the long run it’s going to be close. You’re going to spend more on coffee than you will on printing this year. The biggest selling point for me is reliability. When I send something to my laser printer it just prints. The printer will whir for a few seconds and then smoothly spit out a nice warm page. It may have been minutes since I last used the printer or it may have been weeks. It doesn’t matter, the process is the same. Compare this with inkjet. The printer will grind to life, check its precious ink reserves, and clean the ink heads. When the printer is sufficiently satisfied it will start to print at a frantic pace to noisily deliver a page with ink that’s still wet. Inkjet cartridges are notoriously temperamental and your typical printer will require both a full color and black cartridge before it can print. These are two glaring failure points and they effectively cut an inkjet’s reliability in half. I should note that if you switch to a laser printer you’re effectively giving up color printing. This is OK. Let’s consider printing use cases. The bulk of my printing needs requires no color – boarding passes, resumes, sports tickets. These are things that I need to reliably print at a moment’s notice but are ultimately disposable. The gate agent doesn’t care that your boarding pass is in color, they just want to scan the bar code. Reliable, networked, and wireless. Set it up and forget about it. I prefer the copier version, perfect for duplicating records. Top feed scanner and it has all the benefits of the above printer – reliable, networked, and wireless. After using an inkjet for so long I’m still amazed the laser printer just works. It’s such a smooth and reliable experience. And who doesn’t enjoy warm paper? Home networks are tricky. Most people buy a wireless router and end things there. Some people add network attached storage. Others are interested in file sharing and mitigating the associated risks. A home theater PC needs smooth content delivery. 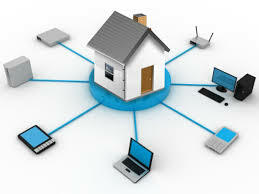 As your interests and requirements change your network will start to evolve and collect a variety of attached devices. That’s when you realize your home network is an important piece of infrastructure in your life and it’s something you may want to take seriously. ASUS RT-AC3200 Tri-Band – This is the heart of the network and it’s doing a few things here. The router has been flashed with Tomato firmware which improves stability and adds powerful admin features such as VPN tunneling, quality of service, and a graphical bandwidth monitor. The router the gateway between my ISP and the home network switch. I’m using Tomato’s VPN tunneling feature to guard all of my traffic from my ISP. It routes all my internet traffic through an encrypted tunnel straight to my VPN provider. This gives me peace of mind for any file sharing or Torrenting. Having the VPN configured on the router means I don’t have to worry about individual VPN clients or network setups on all of my devices. The VPN encryption process is CPU intensive and for some routers the CPU could actually be the bottleneck for network traffic and limiting factor for internet speed. The RT-AC3200 was selected for its speedy dual core processor and its ability to chew through the encryption workload. Installing the new firmware isn’t difficult using Asus’s firmware recovery tool but there are a few tense moments as the firmware installs when you think you may have bricked your router. TP-Link 24-Port Gigabit Ethernet Rackmount Switch – The nerve center for your home. You are wired right? Fast gigabit speeds and excellent performance. Stick this switch in your basement rack and plug everything in. You’ll never need to worry about it again. This is by far the best solution if you have a lot of Ethernet drops sitting in your basement. You can move to a smaller switch if you less connection points but if your house was wired with Ethernet then you’ll need a big switch. NETGEAR ReadyNAS 2120 1U Rackmount NAS – A pro-sumer NAS for all of your storage and file serving needs. Stream movies, TV, and music across your home. A central file server is invaluable for managing and archiving data. This has some serious power but is easy to use with a friendly web interface.